Philip R. Rosenblatt is Co-chair of Nutter's Commercial and Real Estate Finance group. He has extensive experience in complex finance, syndication and warehouse transactions. Phil represents major lending institutions and companies in complex, multi-party financings, agented credit facilities and capital formation transactions. This area of his practice has a significant emphasis on equipment finance transactions and syndications, as well as on low-income housing tax credit and mortgage warehouse and investor bridge lines, asset-based/commercial lending, venture capital and leveraged loans. Phil also represents technology, health care and other entrepreneurial companies through every phase, from initial planning through capital formation, operations and exit. Phil served as a member of the Equipment Leasing and Finance Association’s Board of Directors from 2007-2010, and served on its Executive Committee from 2009-2010. In addition, he is a frequent speaker at equipment finance industry and professional gatherings. He is admitted to practice before the Massachusetts courts and the U.S. Circuit Court of Appeals, First Circuit. 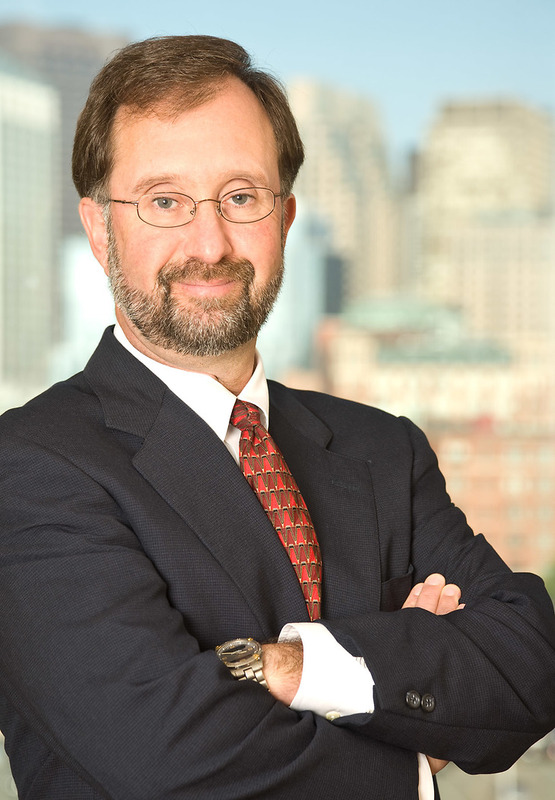 Phil has served as a mediator for the Middlesex Multi-Door Courthouse and on the Alternative Dispute Resolution Committee of the Boston Bar Association's Litigation Section. Chambers and Partners ranked Phil among the leading banking and finance attorneys in the 2008-2016 editions of Chambers USA: America’s Leading Lawyers for Business and he was selected for The Best Lawyers in America, 2007-2018. In leadership positions outside of the firm, Phil serves as board counsel of Combined Jewish Philanthropies, and is board chair and president of JOIN For Justice, the Jewish Organizing Institute and Network. He is also a member of the board and president of the Lincoln Station Homeowners Association in Lincoln, New Hampshire. Phil is past president of the Leventhal-Sidman Jewish Community Center in Newton. He has served as vice president of both the Jewish Community Relations Council and the Jewish Community Centers of Greater Boston and as a member of their boards, and also has served on the Board of Directors of The Rashi School and the Loon Alpine Ski Racing Team in Lincoln, New Hampshire. Representation of among the largest banks in the United States in a dozen relationships providing agency mortgage, low income housing tax credit (LIHTC) and investor bridge warehouse facilities. Aggregate commitments under these facilities are in excess of $1.4 billion. Representation of lenders including borrowers representing one-third of the largest Fannie Mae DUS, Freddie Mac and Ginnie Mae licensed mortgage lenders and LIHTC syndicators in the country. Representation of five of the largest U.S. banks in a highly contested, multi-year workout and restructuring of $500+ million in loan facilities to a diversified real estate investment/CMBS, multi-family mortgage and LIHTC syndication company, servicing over $10 billion in loans. Lending group successfully exited the relationship with a full pay-out at par. Representation of a set of the most active buy-side equipment finance and asset-based lending syndication institutions in hundreds of transactions annually. Involved in equipment finance deals with annual aggregate transaction amounts in excess of $1 billion. Deep experience with all equipment assets ranging from intellectual property to transportation equipment and everything in between. An active member of numerous organizations, Phil serves on the board of Combined Jewish Philanthropies (CJP) and recently undertook a leadership role with CJP’s Governance & Nominating Committee, in which he works with fellow committee members and staff to update the organization’s bylaws. Phil has been honored as a "CJP Superstar" in recognition of his tireless work to support the organization.